Fixed dynamic size of cards - possible? I have several numbers of cards within a Flex grid, each card contains different amount of characters, but less than X amount. When I make the browser window smaller/go to other breakpoints, the size of cards will be adjusted according to the text amount inside, which at times makes it not-good-looking. I was wondering if we can give a fixed size to a group of cards in relation to each other? dynamic i mean. you see that card with smaller text, its card got smaller, I wish that card to be the same size of others and the content inside be adjusted in the center. so the overal look of cards will be appealing in the same size. Re: Fixed dynamic size of cards - possible? 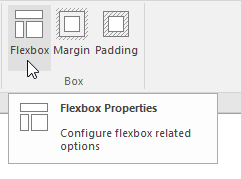 Did you try the 'minimum height' property in the the Flexbox settings of the card? Where do you find that setting please?